You've connected the Kinect sensor to your Xbox One console using the Kinect cable, and the sensor's power LED is on. However, the sensor isn't working. 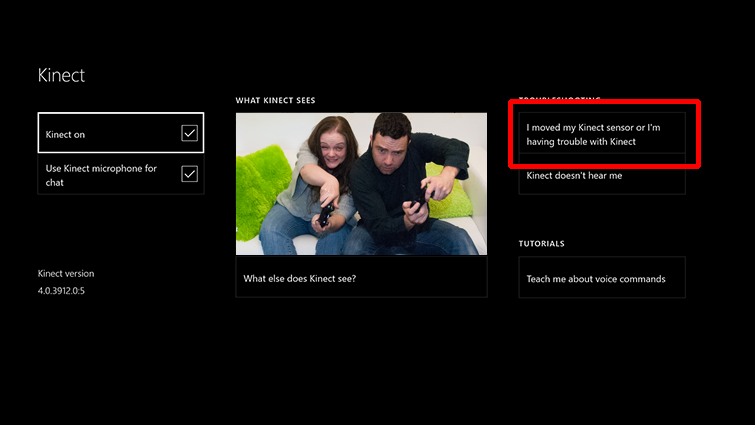 When you check the Kinect screen from Kinect & devices, it says the sensor isn't connected. When this happens, it means that, even though your sensor has power, it's not being recognized by your console. Note If you see the "Kinect is unplugged" message and your sensor's power LED is not on, you're having an issue with your sensor powering on. For help with troubleshooting that issue, see Your Xbox One Kinect Sensor won't turn on. Unplug your Kinect sensor and plug it back in. At the back of the console, unplug the Kinect adapter cable from the USB port. 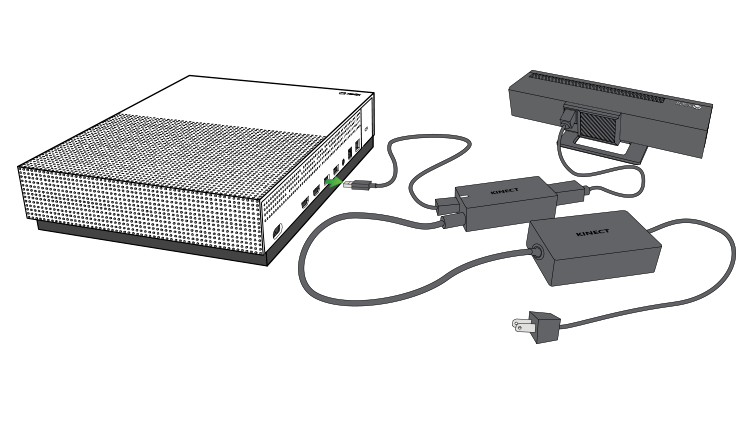 Make sure the Kinect cable is securely connected to the Kinect adapter, and that the adapter's power cord is plugged in. Plug the USB cable from the Kinect adapter into the first USB port (the one next to the HDMI ports). 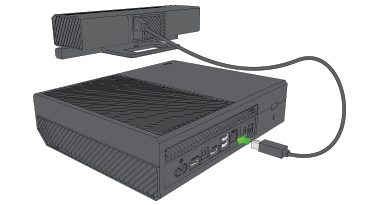 Note Your Kinect will only be recognized when it's plugged into the first USB port on the back of the console. The other USB ports on the console will not work with Kinect. Also, for best practice, make sure your Kinect sensor and Kinect adapter are not sitting directly on top of your console. At the back of the console, unplug the cable from the Kinect sensor port. Plug the cable back into the Kinect sensor port. 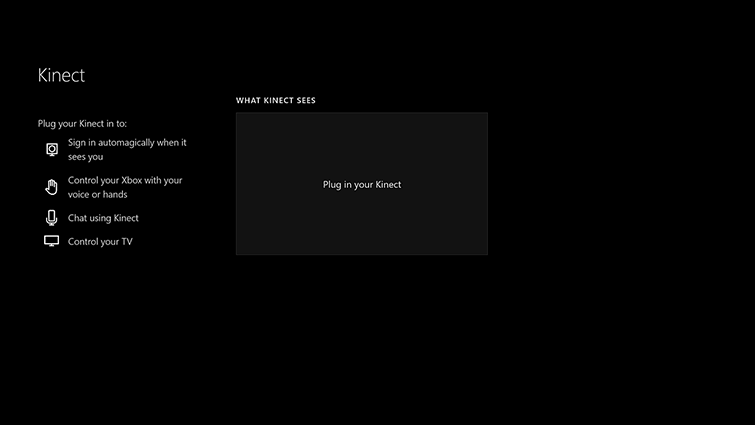 Under Kinect & devices, select Kinect. Wait up to 2 minutes for the sensor to be recognized. Turn off the console by pressing the Xbox button on the front of the console for 10 seconds. Unplug the Kinect sensor from the Xbox One console. Plug the console power back in. Would you like to contact Support regarding the "Kinect sensor isn't recognized by your Xbox One S or original Xbox One console" issue you were reading about or a different issue?